Wedding Bands Ireland - How to search for Great Bands for your Wedding. How to search for Great Wedding Bands in Ireland for your Wedding in 2019? Here are a few ideas and tips. The first tip is there are lots of great ones to choose from so don’t worry too much. The second is enjoy the search. For more practical tips read on………..
Planning your Wedding should be almost as much fun as the Big Day itself. Every aspect of the research and arrangements can be made online ( at least in the first instance). It has never been easier to find Wedding Ideas, Wedding Suppliers, Wedding Directories, Facebook Wedding Groups Wedding Bands and virtually anything Wedding Related without having to leave your house. The World Wide Web has provided a catalogue of choice at our fingertips. Now you can look further afield than ever before for ideas, inspiration and of course online shopping too! Long gone are the days when the only show in town was the annual Wedding Show in the RDS, or the local hotel Wedding Fair. 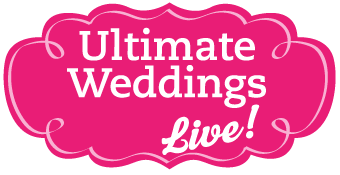 Now there are a host of fantastic wedding events such as Ultimate Weddings Live. Wedding Websites such as The Knot are intended to be inspirational. It is however, important to separate the real from the fantasy. The Perfect Wedding Day is possible. Help is at hand from many Wedding Professionals. If you are looking for the Ultimate Wedding Band then here are a few places to look. In recent Years there has been a huge increase in Wedding Band Agencies. Wedding Bands without the necessary time or expertise to deal with all of the business requirements, team up with Agents. The expertise and required skills of running a business often is not where Wedding Bands excel. It makes total sense that Bands can offload this task to a Wedding Band Agency that has the necessary skills and resources to promote them. Wedding Band agencies such as AMA and Audio Networks Irish Wedding Bands (all the same company) work on behalf of Wedding Bands. They arrange all of the necessary promotion, marketing and financial supports etc. They act as the point of contact between the Act and Bride and Groom. Agencies generally take a fee from the Band so there is no additional cost to the Wedding couple. The Agency deals with all the small details. A Wedding Band Agency will Handle all the Arrangements. More recently there has been a new niche created in spin off Wedding Band directories. These are effectively directories where Wedding Bands Post a listing and the directory owner takes a fee for advertising the Band. Sites such as Best Wedding Bands, Wedding Band Reviews, Wedding Band Association, specialise in promoting Wedding Bands Ireland You get the chance to contact all suppliers through one e-mail. This is routed to all acts and they quote their price if available. The Band pays the fee to the site who manages all promotion on their behalf. Fees and arrangements are usually between the acts and the Bride and Groom. In this the Internet age it is expected that a Wedding Band like all other suppliers will have a Website. in fact one of the best ways to find a whole list of Music Wedding Bands in Ireland is to search Google. Page after page of Wedding Bands advertising themselves as Wedding Band Ireland’s best Band. However the standard of the videos and quality of the Musicianship is usually excellent. While you must choose from a host of Bands who quite frankly are very similar in style , suits, music , set list. Its great that you can view so many from the comfort of your armchair. Wouldn’t it be great if cake tasting was so easy? Now that you have viewed some of the Bands you like online, you can short list the ones you want to see live! Most bands just like The Jukebox Kings offer showcase viewing dates. The final way to search for a good Wedding Band is through reviews. There are several sites dedicated to this. Websites such as Wedding Band Reviews.ie, specialise in reviewing bands. There are also features from Weddings Online The 10 Most Reviewed Wedding Bands and One Fab Day The Best Wedding Bands in Ireland. Although you do need to be aware that only paid members of these sites can receive reviews from Bride and Grooms.